Description: After a bit of negotiation, my originally planned Greenman Blazer (Patchway – Blaise Blazer Route – Patchway) simply became the Greenman Patchway – Blaise – Ashton route when Darran and Mark got onboard. Following a bit of a mix up with bus stops, we’re making final adjustments before we’re off. As we set off, there’s some very interesting conversations regarding Fridays Beep test (which I didn’t go to in the end). Over the M5, the muddy hill is relatively dry and easy to descend. 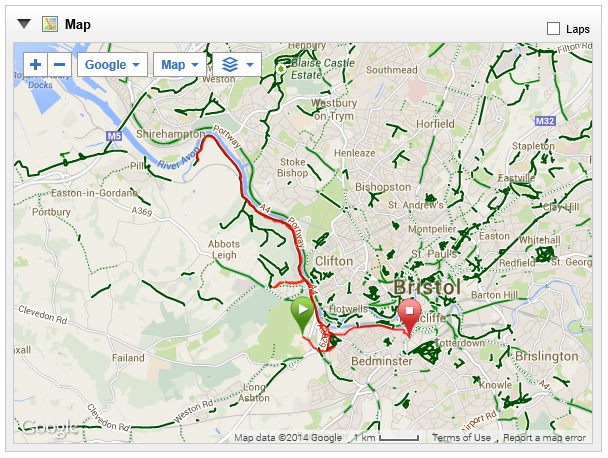 I soon find out that initially, my “map” (Google Earth satellite print out, isn’t as good as an OS map! The fields all look the same. There’s a few wrong turns, but before long we’ve got to the juicy Spanorium hill, and I’m glad to see Mark isn’t walking this; I need the exercise up the hills. Overall the pace is good, not stupidly slow, and not too fast as to kill me. So comfortable. I’d still like a cross country run where I really go for it. But that wasn’t today. I suppose that’s why Blaise is there! 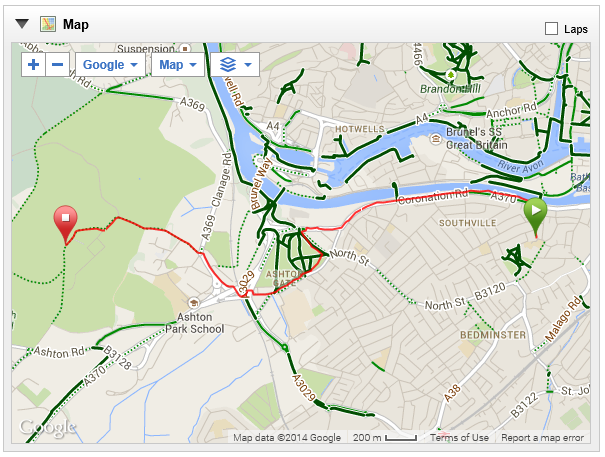 Talking of Blaise, Mark route differed slightly from the one we took on NYE. We follow it pretty well. It’s great to be running across Blaise again, can’t wait to get cracking on that course. Up over the back, and another plentiful supply of useful conversations on ultras, ice baths, recovery, training etc. Ultra tip is to take a re-sealable bag, and at the stations grab a load of stuff, put it in the bag and eat as you walk the up hills. Also, apparently I need to be anerobic for the WHOLE of my 5k and 10k, not just half of it! He also tries to swim once a week. There’s some beefy hills getting up to the Downs, but I manage to keep up well with Mark, and I enjoy listening to his story of how he won the Little Stoke Park Run. Once we’re on the downs and at around 17km, my legs are starting to feel a little tired around the knees but energy level and spirit are surprisingly high! 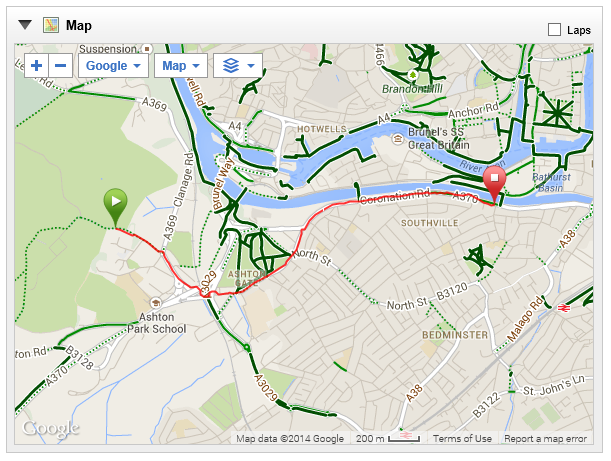 Over the bridge, and it’s very windy, through the deer park, past the Greenman and through Bedminster. Mark veers off to home and Darran and me carry on. Then, I run past the RUNBS3 t-shirt shop and stop dead n my tracks. I go in and buy a small black t-shirt for £15, and then get back on the road running. 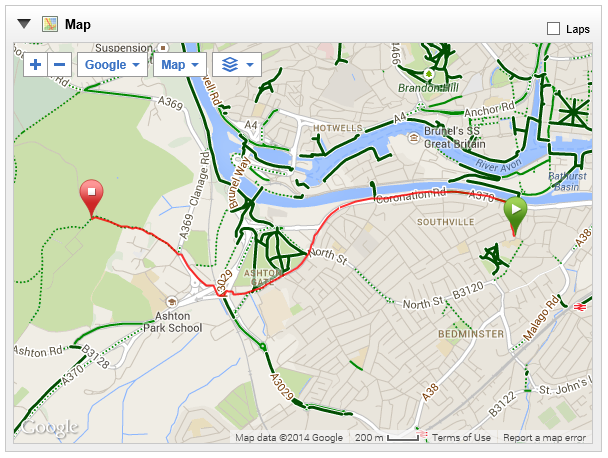 Darren veers left home and I carry on, making it to the bus stop with 2mins to spare having done just short of 24k! When I get home, I’m keen/dreading to try another cold bath. I have a foam roll before, managing my feet and calves. The back and sides below the knee seem very sore. When I get in the bath, this time I have my sealskinz socks to keep my feet less painfully cold. A bit more water to cover my legs better. It’s still agony at first, the sock really help with the initial shock. A hot chocolate and a browse of my Strava route later, I’m doing okay if I relax the legs, they shake. If I tense them a bit, they shake much less. 11mins goes, and it seemed a bit easier than the first time. I get out. Having accidently run a full hot tank before, thinking it was cold, there’s no hot water for a hot bath afterwards. The legs are cool, but it’s quite nice once you’re out and the top of you is still warm. I let them dry out naturally and were still cool during the warm shower. Not too unpleasant. Will see how I feel in a couple of days! Description: What a slog! This was not fun at all. 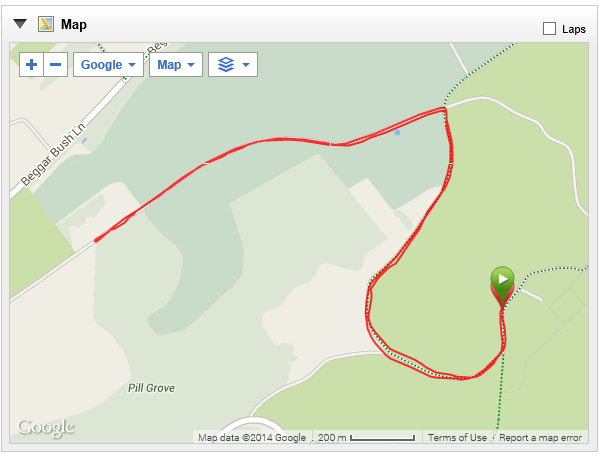 Warm up was quicker, Ashton Court was slower, due in part to the bag. And then the Towpath. First an ascent up Nightingale and back down. I mamage to pace a couple of runners for a bit along the Towpath, but then it starts getting tough. I need to break this now jog into 2.5k sections by walking. I force myself to go on to Pill as I want to break 30k. But coming back was a really tedious. I convince myself to do the second Nightingale ascent. It’s stupidly humid. And I have to push until th end in oder to catch my bus! I just make it, but I’m exhausted and fed up! Not looking forward to Scafell! 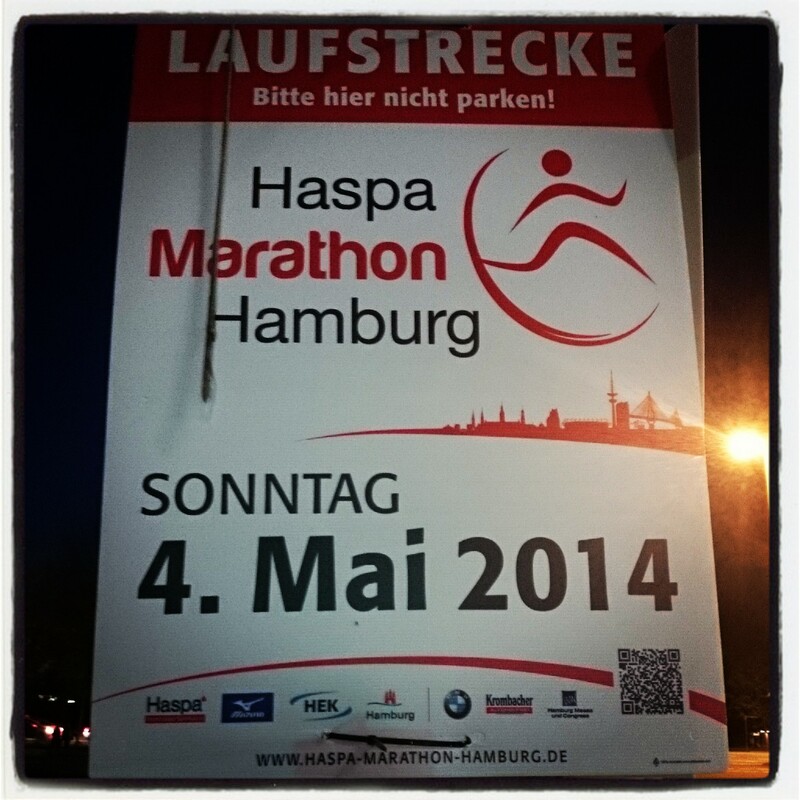 Maybe it was the 4k warm up, or the fact that I ditched my running group, but after Dresden, I’m feeling pretty slow. 3k warm down back to SRC HQ!